With Connectify Hotspot, you get support for game consoles in Routed Mode. We added some features to Connectify Hotspot to detect certain gaming consoles and automatically forward that traffic through NAT. If you have an option for Bridged Mode, that will remove the extra NAT which could yield even better results. 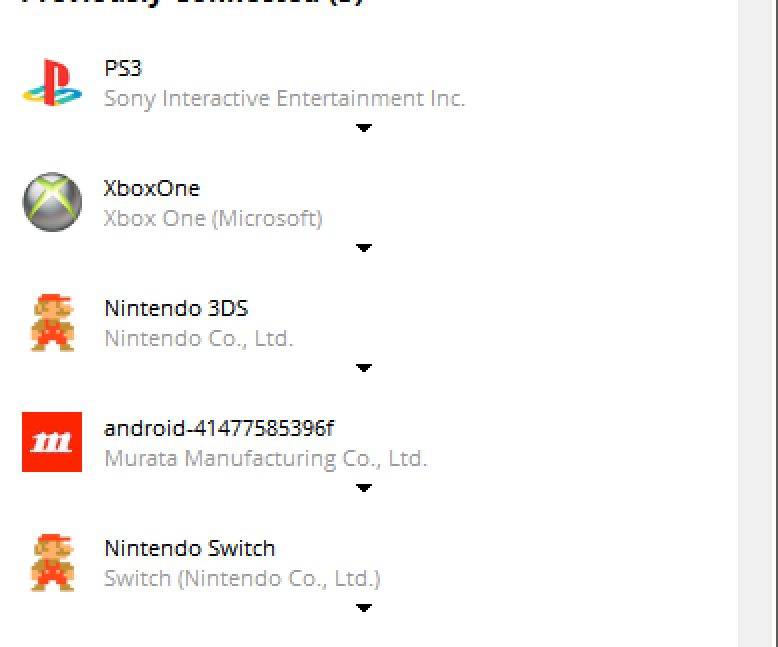 If your client shows up with a PlayStation, Xbox, or Nintendo icon, as seen below, Connectify has detected this is a gaming device and will automatically forward the appropriate ports for it's online network. 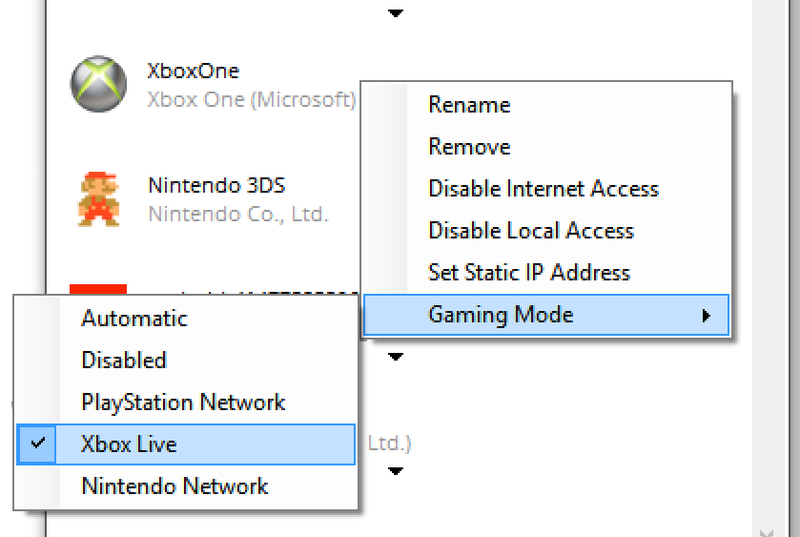 If your game console isn't recognized automatically, you can manually select the network type by selecting Gaming mode from the client's context menu, accessible by right-clicking on the client. You can also disable Gaming Mode on a client this way. Only 1 device of each network type can utilize gaming mode at a time. If you have 2 connected at once, you can control which device gets port forwarding by setting the other device to Disabled. It will still have Internet access, but may only obtain NAT Type 3/C/Strict. Getting Type 3 | C | Strict NAT on your console? Most games only require a Type 2 | B | Moderate NAT to work properly. Check out this guide on how to get a Moderate NAT type. How do I change my NAT type?